Hi, everyone. 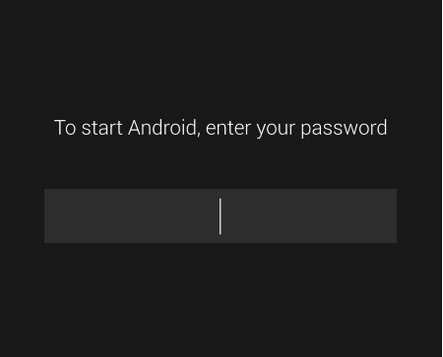 Have anyone of you ever encounter I situation where Android keep asking of password when the device restart. Yes this normal for most android but is abnormal is sometimes you put in the right password but the phone refuses to boot or you may just have forgotten the password. 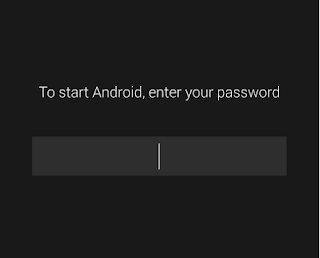 In some worse case scenario, you will hard reset the device but still as you for to start Android with password "Enter your password"
I Will writing this tutorial to my fellow engineer out there on how to overcome this problem “To Start Android, Enter Your Password” Issue Without Flashing. This problem is very common on the new phones that come with the secure boot. Many Engineers Have to Kill Much Secure Boot Phone Just To Remove StartUp Password Through Flashing, Because This Password Will Still Come Up After Hard Reset And Most Of This Secure Boot Phone Will Just Hang On Logo After Perform Full Factory Format With Any Box or will be tempted to flash the phone with MTK TOOL which will not work but rather format the phone on the upgrade firmware option and the flashing will not be a success. Now the phone will not boot again and the phone is brick. This is very dangerous as the phone owner may not take this lightly and you be in big problem. Thank you as you enjoy your Android.